Santa has been very generous on Lime ‘n’ Lemony this year! And my Santa is a very beautiful lady blogging at Dreamz and Clouds. She has been showering us with a lot of fellow blogger love and appreciation :). First and foremost it has to be Dreamz and Clouds! So hopefully this will be her third star! http://ourtravelpics.wordpress.com/ – Some amazing pics from Richa and Tushit’s travels and photography tips! http://ediblesandtravels.wordpress.com/ – Combining two of my favourite things food and travel! Write a blog post and tell us about the blog(s) you have chosen – there are no minimum or maximum number of blogs required – and ‘present’ the blog(s) with their award. 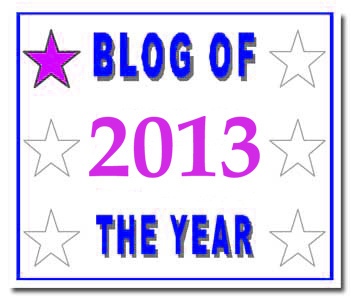 You can now also join the ‘Blog of the Year’ Award Facebook page – click the link here https://www.facebook.com/groups/BlogoftheYear/ and share your blog posts with an even wider audience.